The Volkswagen Arteon has made a strong first impression. After all, the 2.0TSI 4Motion R-Line derivative is a finalist in its category of the 2018/19 #CarsAwards. Does its more affordable turbodiesel sibling offer a better value proposition, however? Let's find out. We don't like: Rough engine note when cold, cabin needs more glamour. 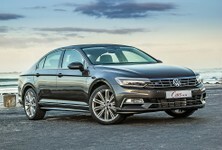 Some Volkswagen dealers regularly offer specials: Have look here. Few sedans are as visually striking as the new Volkswagen Arteon. SUVs and crossovers have become ubiquitous and, as a result, the sedan market has shrunk. Buyers may have plumped for business class and executive sedans in the past, but it's going to take something extraordinary to woo them back. 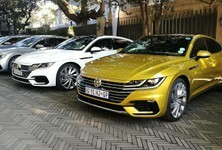 With the Arteon, Volkswagen has departed from the formula of conservative 4-door models (think of the Jetta and Passat, the latter of which is closely related to the newcomer), and utilised its sophisticated MQB platform, to produce a stylish fastback sedan in an effort to attract new customers. The fastback design is fascinating – not only does it look outstanding, but the hatchback tailgate affords surprisingly good practicality. 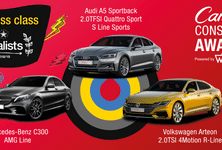 Volkswagen SA was very strategic with the Arteon's market positioning. 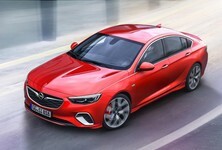 For it to garner notable sales numbers, the sedan would need considerable specification and a trimmed engine lineup. Volkswagen also ensured that the R-Line body kit was fitted as standard to the majority of derivatives. There were only 2 engines at launch: a 2.0-litre turbocharged petrol unit, in combination with 4Motion all-wheel drive (click here to read the review) and a 2.0-litre turbodiesel, which is front-wheel driven. The tried-and-tested 2.0-litre 4-cylinder turbodiesel's peak outputs (130 kW and 350 Nm of torque) are more than adequate and petrolheads will note that this engine is the same as the one found in the Volkswagen Golf GTD hot hatch. Volkswagen claims this derivative will accelerate from 0 to 100 kph in 8.7 seconds and run on to a top speed of 220 kph. In reality, the car doesn't feel that punchy off the line, but its real strength lies in its ability to produce generous in-gear shove. The quick-shifting dual-clutch transmission does a sterling job of optimising the motor's torque delivery and the Arteon responds beautifully when accelerating from, say, 80 kph to 120 kph. If you want more driver involvement, you can use the steering wheel-mounted paddles – they work well. Past experience has led us to believe that the combination of a dual-clutch 'box and a diesel powertrain isn't particularly sporty, yet the Arteon TDI disproves that notion. 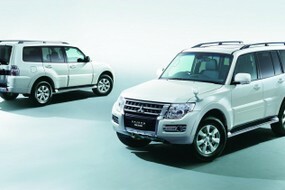 It's pleasantly athletic to drive and the typical clatter of a diesel engine is only apparent high up in the rev range. There's no point to revving out the motor, however, as there's just so much low-down shove, you can shift gears early. Plus, the best thing about this powertrain is its good fuel economy. When driven in its Eco or Comfort settings, the Arteon is a relaxed cruiser with a loping gait, which gets even more satisfying when you glance down at the consumption readout on the trip computer. Officially, Volkswagen SA claims a 5.6 L /100 km, but after a week's mixed driving on both open road and gridlocked traffic, we're happy to report a readout of 7.4 L/100 km, which is commendable given the size and heft of the vehicle. The fastback looks are complemented by handsome 20-inch turbine alloy wheels. The Volkswagen Arteon truly shines in the standard features and technology departments. There are 2 trim levels available, but we anticipate that most buyers will want to spec the R-Line kit for maximum effect. The grippy R-Line steering wheel features audio and cruise control functionality, as well as controlling the views of the standard digital instrument panel, known as Active Info Display. While it doesn't have the fanciest of graphics, unlike say, the Peugeot 3008, it's a slick and intuitive interface. Climate control is standard too, but in the Arteon, this is extended to the rear passengers. The standout feature is the 9.2-inch Navigation Pro infotainment system that boasts both Android Auto and Apple Carplay compatibility, as well as gesture control. The graphics, colour and resolution are of high quality and visually, it's a beaut of a system. Best of all, it's stock standard! Semi-autonomous safety technology has also made its way into the Arteon; our test unit featured city emergency braking and front assist, which forms part of the adaptive cruise control package. This is an extra-cost option, however, but well worth considering. Also fitted is a 360-degree camera view that offers excellent all-round vision (when you need to park your car), the uprated DynAudio 10-speaker audio system, metallic paint, 20-inch alloy wheels, and an electronically deployable towbar. The Arteon might look radical compared to its Volkswagen brethren, but under the skin, there's a lot of shared technology, such as the lauded MQB platform that underpins it. This modular architecture forms the basis of the Golf, Tiguan and some Audi products, and is renowned for its practicality and compliant ride quality. Admittedly in Arteon application, the MQB platform has been stretched out and has a wheelbase length of 2 841 mm, but the benefit is generous cabin space. Rear passengers are availed excellent legroom and, thanks to the fastback design, the luggage bay is practically shaped and exceptionally cavernous, all of which makes the Arteon an accomplished family sedan. Volkswagen quotes 563 litres of luggage space and, to put that in perspective, the Tiguan family car offers 442 litres. While there's nothing fundamentally wrong with the Arteon's classy, buttoned-up cabin (everything works well and is well assembled), we feel that it lacks the glamour to match the car's fantastic exterior style. The ambience is akin to a Passat or even a well-specced Golf. To reiterate, the cabin boasts a slick user experience, but we feel it just needed some pizzazz to really set it apart. Surely Volkswagen could have pinched some interior kit from sister brand Audi's to liven up the Arteon's cabin? There are no complaints about the quality of the interior materials, even if we think the cabin looks a touch too ordinary. The R-Line package includes sporty leather seats that include a heating function, are electrically adjustable and, of course, wrapped in sumptuous leather. Pricing for the Volkswagen Arteon range starts at R599 900, with this 2.0 TDI R-Line derivative priced at R649 900. The Arteon comes standard with a 5-year/90 000 km maintenance plan, 3-year/120 000 km warranty, 12-year anti-corrosion warranty and a space saver spare wheel. It's striking, drives well and boasts surprising amounts of practicality, but will the masses leave their SUVs for the Arteon? Given the performance and efficiency of the turbodiesel-powered Arteon, we'd narrowly recommend it over its petrol-engined and 4Motion-equipped sibling. You have more than enough power, plus the benefits of saving money at the pumps. With the Arteon, Volkswagen has proved that amid a deluge of new SUV introductions, it can build a competent and interesting-looking sedan that offers tremendous luggage space and refinement on par with premium-badged products. There's substance to this Arteon: it's an accomplished tourer that is spacious enough to seat 4 adults in luxurious comfort, with more than enough capacity to accommodate their luggage as well. Those who take the plunge and buy an Arteon will be impressed by its levels of comfort and technology and, if they opt for the turbodiesel derivative, frugal consumption and better-than-expected performance. However, we'll have to watch the sales charts to see if buyers are willing to tear themselves away from their coveted German (premium) brands and opt for something refreshingly different. Critical here is the price, which significantly undercuts those of its more established and widely-adored rivals. The specification of the Arteon (with very few optional extras) is a knock-out punch too, so it's easy to recommend the Arteon if you're looking for a solid buy. The long-serving BMW is more established in the business class segment than the Arteon. Its also features a fastback body style (and, therefore, respectable luggage space). With rear-wheel drive dynamics, we'd expect it to be more involving to drive than the VW, but then it should be, considering its almost R100k more expensive. The Arteon's closest competition comes from within its own ranks. The Audi A5 Sportback is beautiful, both inside and out. It has similar performance and handles well thanks to quattro all-wheel drive, but it doesn't offer as much standard spec as its cousin. Looking for a new / used Volkswagen Arteon to buy?